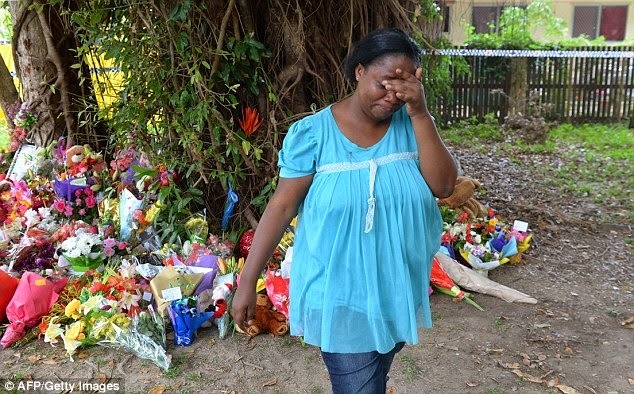 Mersane Warria was the major adult living with eight children found stabbed to death in a Manoora home yesterday, and now family and neighbours are speaking out about her erratic behavior before the discovery. 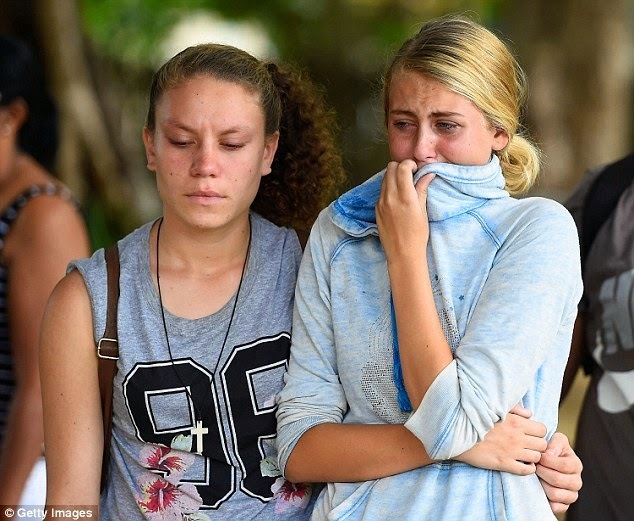 Police have revealed the victims were four girls, aged 12, 11, and two, and four boys aged nine, eight, six, and five, and five fathers had been informed that their children had been killed in the massacre. 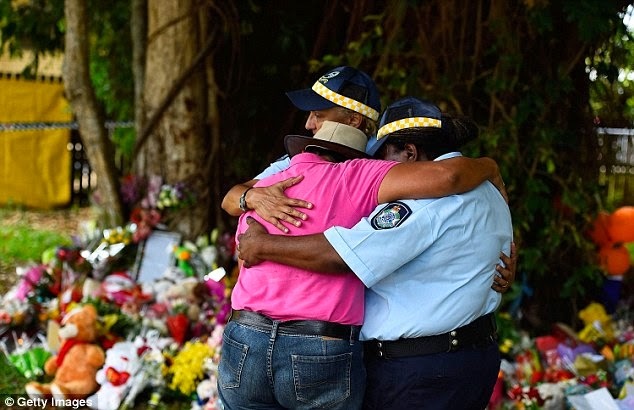 It was also confirmed by police that Mersane Warria, also known as Raina Thaiday, has been arrested for the alleged murders of the children but has not been formally charged. 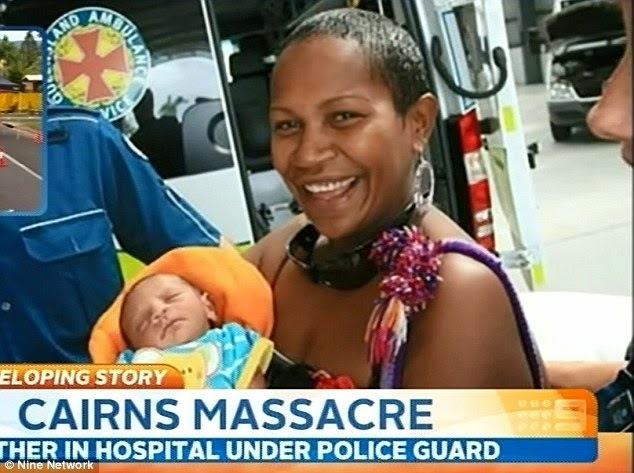 She remains under police guard at Cairns Hospital. Police say they have located a number of weapons, including knives, at the Queensland home. The children's bodies have been removed from the property and autopsies are being conducted today. An uncle of the children found dead revealed he last spent time with his eight nieces and nephews just a day before they were found stabbed to death by their 20-year-old brother. 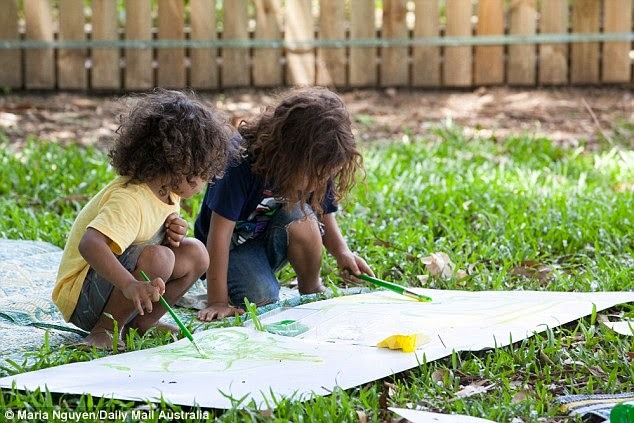 The children's uncle told Daily Mail Australia they were in the front yard of the Manoora property when he spoke to their mother. He said one of the children's fathers had plans to take the kids away to Bamaga - the tip of Cape York in Queensland's north. The man claims his sister-in-law had 'found God and was changing her life around'. The uncle said the mother she hadn't been religious beforehand. 'She was when she was younger with her adopted mother but not after that,' he said. 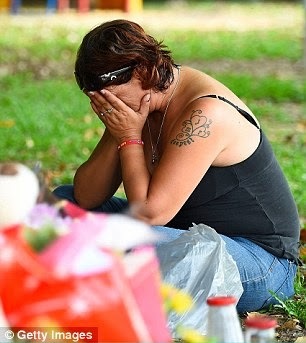 Ms Warria, 37, who is the mother to seven of the children and an aunt to the other, was seen by neighbours running through the street screaming at 3am on the morning the bodies were found. After her confrontation with the youngsters she wandered back towards her home. Only hours earlier a neighbour, Ms Tahnia Ruttensteiner, had witnessed her clearing toys from her house with her children, claiming she wanted 'a fresh start'. Another member of the community claims that in the weeks leading up to the massacre he had noticed the woman was behaving erratically. 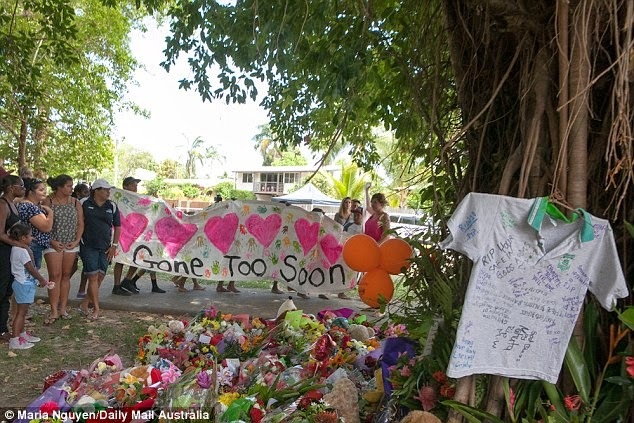 The man, who has a respected standing in the Cairns Torres Strait Islander community, said that Ms Warria had been heard arguing with her husband over her 'ill health'. He claims it was her behaviour, along with a bizarre turning to God, that led to Miss Warria's husband walking out of the house just a few days before the atrocity. Neighbours have expressed regrets that they did not approach her, but explained that they were used to noise from the house, where there were often loud parties. They also explain that on troubled Murray Street, it is far from uncommon to hear screaming and shouting. 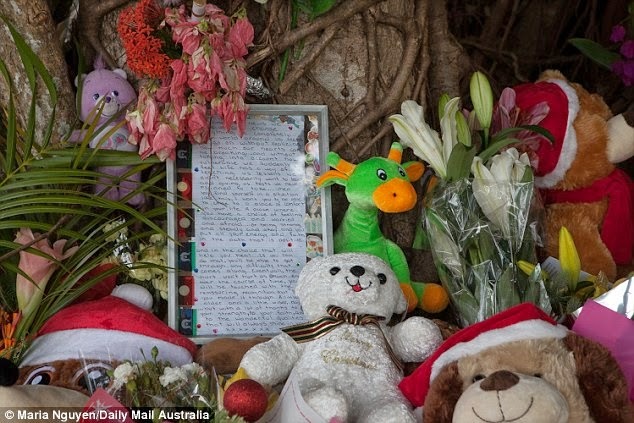 Another cousin, who wanted to be identified only as Raniet, told Daily Mail Australia on Saturday the mother arrested in relation to the murders of eight children turned to God just days before the killings. 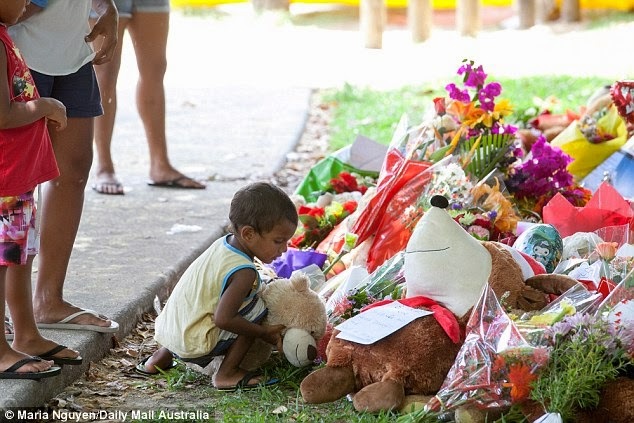 Raniet - a Torres Strait name - said Mersane Warria took her seven children to St Margaret's Anglican Church a few kilometres from her home last Sunday and sat them all in a pew, holding her 18-month-old baby in her arms. Today Reverend Don Ford, the minister, confirmed that Mersane had turned up at his small church and had sat with the children in a pew 'towards the rear'. 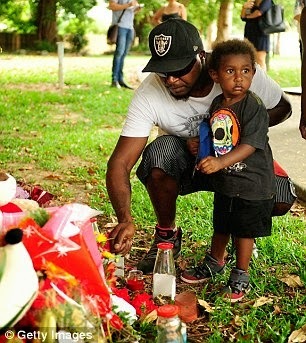 The father of some of the murdered children, identified as 'Gavin', was filled with grief as he stood in the park with other family members earlier today before he moved off.